At the age of four (going five this March 31st, yipeeeeeeeeeee! ), Carlisle went through a lot. At this age, he should have been waking up early to go to school. I imagine myself being a naggy momma here asking him to get up and fix himself, hehe! Imagine those 17 confinements for the past four years being the quiz bees and play games he could have joined for not with this monster on his head - I always consider surviving this battle as his first win in life. Carlisle is a goofy and playful even before the diagnosis. He remains to be one even after it. I am always excited going home to his smiles and hugs. We go to sleep together in the afternoon and I wake up at night with him still by my side either hugging me or punching me to wake me up. He has this contagious smile that just by calling out his name he draws that beautiful creation on his face - and I always thank God for letting me be the mother of this cutest little fluffy thing on Earth. I've cried so many times. I've questioned God in so many ways. Though through these I've learned so many things. Carlisle thought me a lot of beautiful things about parenting. And with those, I became stronger and better as a mother and most especially as a person. Parenting is not just always happiness and playtime. And indeed, parenting is not for weak hearts - though if you have one, you will eventually get stronger as time goes by with the help of your child. I for once have a weak heart, and I never imagined myself surviving everything that we've gone through. But hey, guess what? We're here! We're kicking the monster off and we're almost in to winning it. No matter what happens, you will always be my Carlisle. Lagi kang mahal ni Nanay whatever we go through. You will always be the chubbiest and cutest baby in my eyes. Syempre kanino ka pa ba magmamana, di ba? Hahahaha! Kidding aside, this whole journey that we're going through right now is the most challenging yet fulfilling one that I had. As what the latest McDonald's commercial says, whether you finished first or last, or not at all, for me, you are doing your best and you are still the bestest son I will ever have. Can you remember your childhood days when your parents say that you did okay even though you did not bag that first prize on your first intra-school spelling bee? Remember when they said it's fine even if their favorite plate or glass was shattered into pieces because of you? Learning from the latest McDonald's TVC, it shows us that no matter what we do, or what we become, our parents will still love and care for us. It's been a while since I last posted, ano? 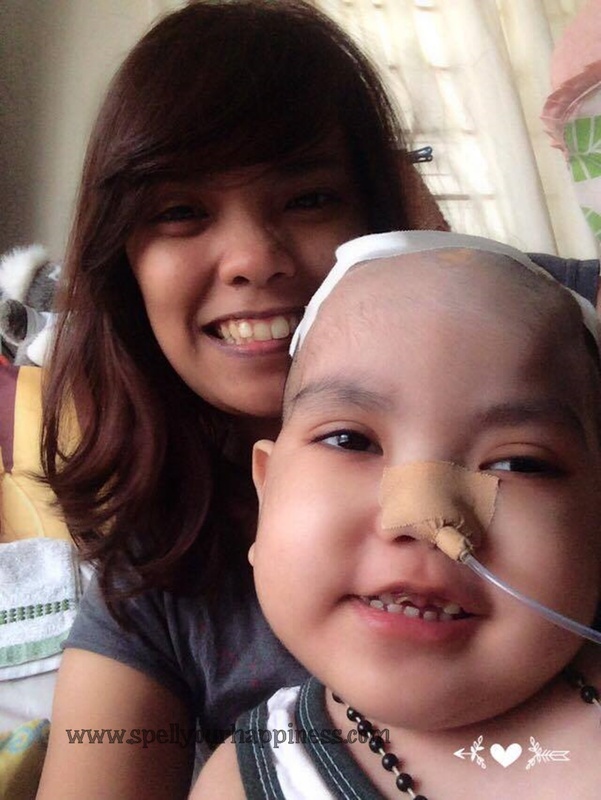 By the way, we're still looking for funds and/or organization that can help us with ze cranio kid's next operation. We're at P53,000 out of the P250k that we need for his next operation that I'm wishing and praying to be done after his birthday in God's will. You can help us, too! We only need 197 people to pledge P1,000, or 400 people to pledge P500 each, or 1,970 people to pledge P100 each to gets us through the remaining amount that we need. I would like to thank everyone for keeping Carlisle in your thoughts and prayers, for those who sent gifts last holidays, and for those who keeps on sending help. In time, we will be able to give everything back in our own special way. A share of this post would also help! Please do! Agree, parenting is not for weak hearts. Be strong and I hope you can get the funds that you need. My aunt-in-law also use GoFundMe site for her hospital bills. I pray for your continued strength and faith, and for your Carlisle's improvement. I sense a lot of positivity on you, and that means a lot to make everything light. Again, our warm wishes and prayers. Hi, Carlisle! Mayu, did you get his name from Carlisle Cullen? Twilight fan here :) Anyway, your post got me into tears. You are a brave boy, darling. I know that the Lord will heal you and soon, your mom's next post would be how fast you run and your outdoor activities. Praying that you'll complete the operation fund the soonest. Stay strong, Mayu! God is good all the time! Parenting is indeed one tough challenge that I can only imagine how difficult it must've been for you and your son. I guess it is only human to question why you are experiencing this instead of just having a normal, healthy child, but I am sure that in due time God will reveal all His beautiful plans for you and your child. Hang in there and I truly hope Carlisle gets the operation that he needs to fight off his sickness. He still looks very cheerful. Be strong and keep the faith. God bless you and your family. 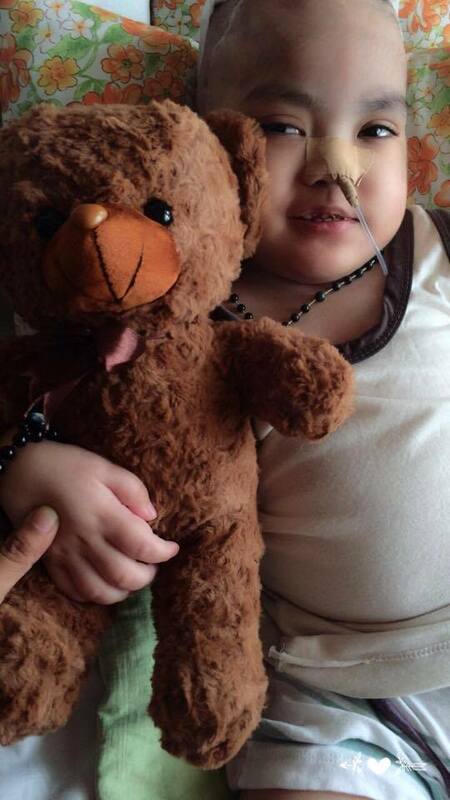 Awww I wish I could do more to help your little fighter, but right now all I can offer are prayers and well wishes. Be strong! Things have a way of working out the way they should. Be strong mommy! I hope you can come up with the amount needed before her birthday this March. I'll send a gift on your Paypal account, sana makatulong. You'll be in my prayers mommy! Be strong for Carlisle. I hope you get all the funds that you need. I teared up. I remembered when I was in 2nd year high school and my neurologist found a swelling in my brain that almost became a tumor. My head would hurt for so many days. It was challenging for the entire family, especially my mom. Let me see what we can do. God bless Carlisle and your family! You will all make it through. I'll share your post ha. Oh she is truly a fighter! Stay strong mommy! Will be sharing this post too and will be praying for you. Im so sorry to hear this story about your son. I can see how brave he was.. and im praying for God's healing hands to touch him. 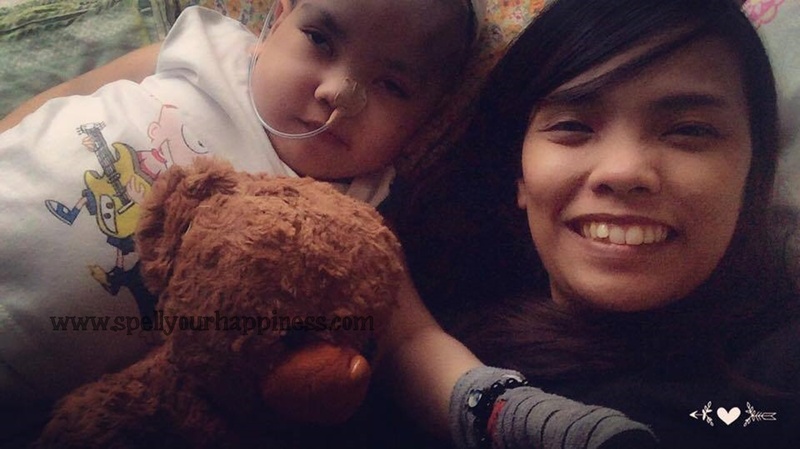 Will share your story through this blogpost hoping that ypu can gather more help for his operation..
Wow. Heartbreaking and inspiring at the same time. Be strong and I will keep you and your little fighter in my prayers. Im praying for your faster recovery Carlisle! God bless you amd your family! It's admirable to see him smiling through it all. Stay strong! Hi Mayu! I admire your strength. I think I've told you that before. I pray for Carlisle and hopefully by next week, can also send in a little help. Much love from this mom to you. Hugs! I'm one with you in claiming for the funds needed for his operation. And that his operation will be a successful one. Be strong Mayu. Be strong mommy. You have a handsome son and I'm sure everything will go according to God's plan. I promise to donate Mommy, it might not be as big but I know it will go a long way. Will include baby in my prayers. Stay happy, Baby!! Carlisle is indeed a fighter! I pray for his health and that he gets the funds needed for his next operation and for whatever else he needs. Praying for you too, Mayu. :) You're a strong mama. Hugs to you, Mommy and to Carlisle! I underwent craniotomy, too, in 2004, for the removal of pituitary tumor. Back then, I was scared of what might happen. While my eyes were affected after the surgery, I'm still here, alive and kicking. Thank God! Never lose hope and trust that God will heal your son. Stay strong! I just deposited my donation to Paypal - a small amount but I'm sure it will add up. God bless! I hope and pray I have a strong heart as strong as yours. Sa needle lang, when I imagine it na any of my child will be hospitalized, I fear it to death. I admire you and will pray for you both. You are a strong mom and I commend you for your selfless love. Hang on in there, trust in the Lord and He will answer your prayers.